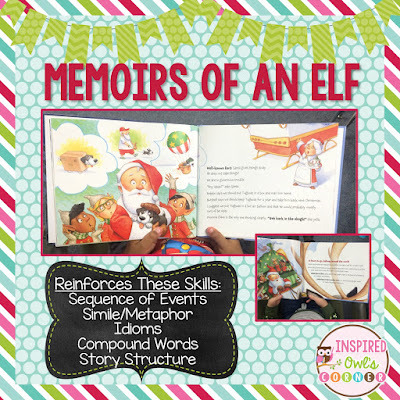 Today I'm linking up with Carla from Comprehension Connections to share with you one of my favorite mentor texts to read with my class during the holidays, Memoirs of an Elf. 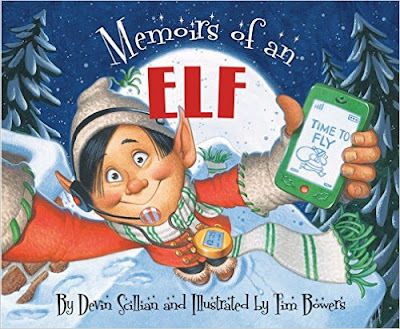 The book Memoirs of an Elf is written by Devin Scillian. You may know him as the author of Memoirs of Goldfish and Memoirs of a Hamster. If you have a class elf that visits your classroom, it would be fun to have your elf bring this book as a gift from the North Pole for your students! I adore this book! The story is told through the eyes of one of the elves, and it details Santa's delivery of presents around the world on Christmas Eve. Santa returns home to the North Pole on time, but one of the elves discovers that a family's beloved dog accidentally jumped into Santa's toy bag! The problem in the story is how to return the puppy to its worried owners without being spotted, since by now it's daytime. Momma Claus saves the day with her idea, and Tugboat is delivered to his grateful owners. Not only is this an adorable holiday story, it's full of teachable moments. It's the perfect mentor text! 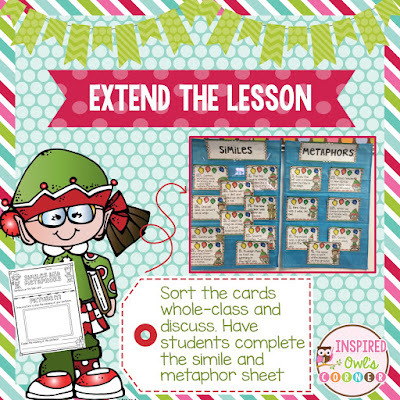 Through this book, I am able to teach or review compound words, sequence of events, story structure, problem/solution, fact and opinion, cause and effect, and figurative language such as simile, metaphor, idioms. This is also a perfect mentor to introduce personal narrative. This year I also plan to add some geography by giving students a map and having them track the different locations mentioned while Santa delivers the presents. I also love the "Little Known Facts" about Santa. It would be fun for students to keep a list of facts about Santa, and lead into a discussion of fact and opinion. I have trained my students to be on the lookout for what they notice while reading. We discuss the special techniques authors use that appeal to us, and my students are encouraged to "borrow' the techniques to improve their own writing. Simile and metaphor can be challenging to teach, because students must be able to understand them in context. Providing students with practice will help them to recognize their meanings as well as differentiate between the two forms of figurative language. 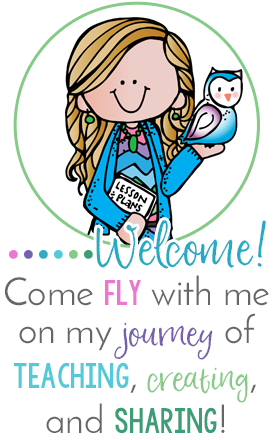 Hopefully my students will add them to improve their writing after practicing them. 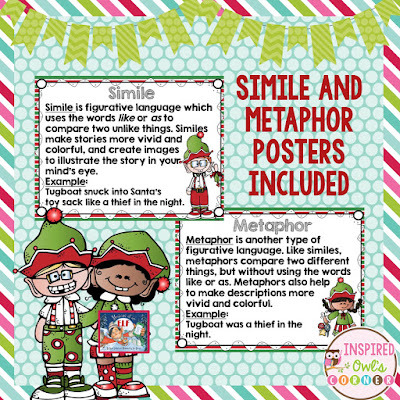 I begin teaching simile and metaphor by going over each form of figurative language using the posters I've included in my freebie above. I post an anchor chart with an example of each, and we continue our discussion of them. I ask students to become "detectives" and search for similes and metaphors in Memoirs of an Elf. We post the sentences on the anchor chart, and refer to it during our study. Next, I have students use the simile and metaphor sheet the girl is holding in the graphic above. Students are assigned a simile or metaphor from the set of task cards, and draw a picture to represent it, and what they think the meaning is. After students have completed all of their simile and metaphor sheets, I bring them together and they present their findings. We discuss each one, what the meaning of the simile or metaphor is, and the clues that led us to believe that. We sort each card under the correct category in a pocket chart. After this discussion, students are ready to write their own similes and metaphors to practice. I have them trade with a classmate to determine whether they are similes or metaphors, as well as their meanings. You could use the same printable they used in the activity above. 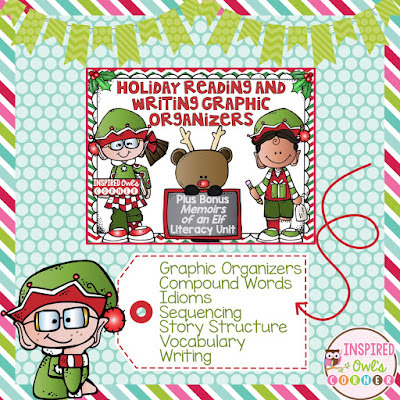 The activities I've shared are part of this larger pack: Holiday Reading and Writing Graphic Organizers Pack. 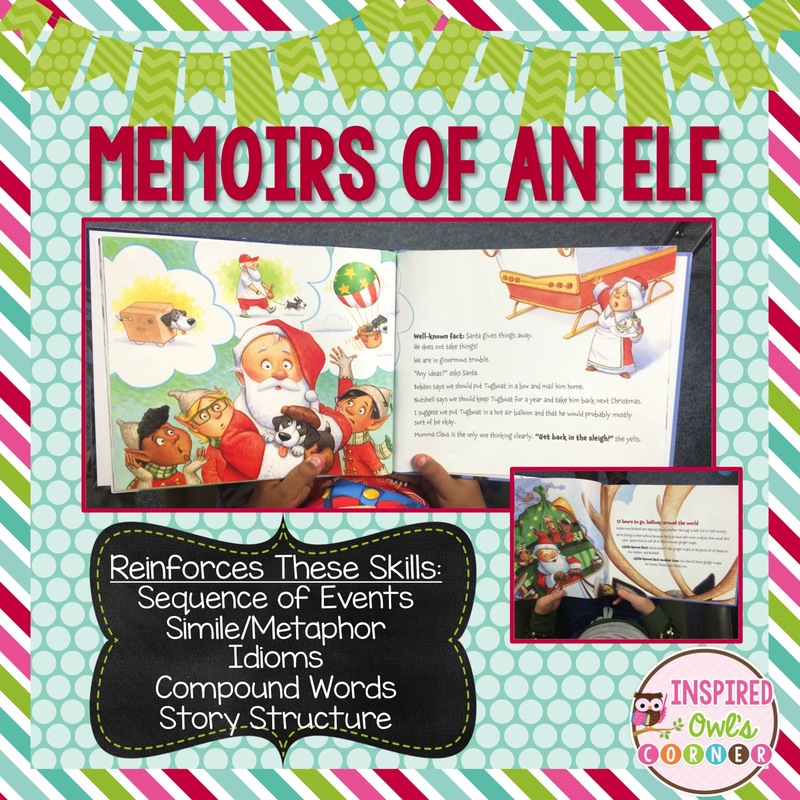 It includes many Memoirs of an Elf activities such as sequencing, story structure, and vocabulary graphic organizers, compound word activities, idioms, and a variety of other printables and graphic organizers that can be used with any book. The graphic organizers are easy to prep and great to just grab and go. They really help my students to dig in deeper during our read alouds. They are also perfect for extra practice and/or assessment!